A skating champion. An unlikely friendship. A fateful pair of white boots. Read the classic that has captivated generations! It's a stroke of great luck when Harriet Johnson’s doctor prescribes skating after an illness that has left her feeling frail and listless. For on her very first day at the rink, Harriet meets orphaned Lalla Moore, who is being brought up by her wealthy aunt Claudia to be a skating champion. Although they have little in common, the girls form a fast friendship. Harriet is energized by talented, funny Lalla, and Lalla in turn blossoms under the affection of openhearted Harriet. The girls skate together more and more. But just as Lalla’s interest in skating starts to fade, Harriet’s natural talent begins to emerge. Suddenly Lalla and Harriet seem headed in two very different directions. Can their friendship survive? This beloved children's classic is the perfect gift for girls who dream of spending days at the ice rink and becoming a figure skating champion. Adult readers may remember the "Shoes" books from You've Got Mail! 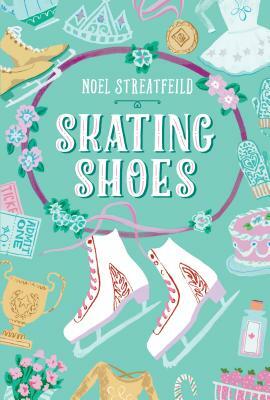 Noel Streatfeild wrote thirty-eight books for children, many of them inspired by her devotion to the performing arts. Her characters often consider careers on the stage, the screen, and even the ice-skating rink! She died in 1986 at the age of ninety.